ODD’s compelling and daring dance artists perform in a new mixed program presented in partnership with the 2016 Canada Dance Festival, featuring premiers by ODD artistic director Yvonne Coutts, and emerging Montreal-based choreographer Marilou Lépine. Yvonne Coutts presents Start, a physical and inventive quartet influenced by the colour pink and set in a series of beginnings. Marilou Lépine brings her theatrically absurd cartoon quintet entitled Austin, Grace, and René Ladouceur. 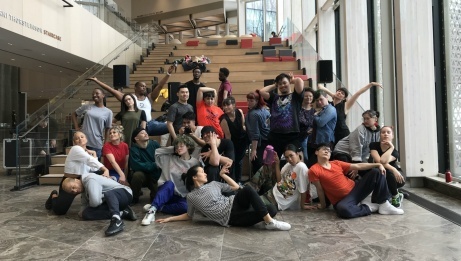 Ottawa Dance Directive / Centre de danse contemporaine (ODD) is a new centre for professional dance, creating a fresh start in Ottawa for contemporary minded artists to investigate dance making, performance and collaboration. 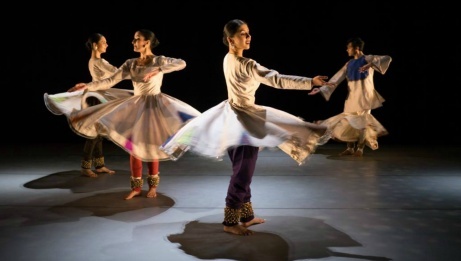 Founded by professional dance artists Natasha Bakht, Yvonne Coutts, Sylvie Desrosiers, and Lana Morton, the organization supports innovation in contemporary dance making, in all of its traditions. The partnership between the CDF and ODD is long-standing and rooted in a mutual desire to create a supported, invested hub of dance activity in Ottawa for both local and national artists. Activities co-hosted by both organizations during CDF 2016 include ODD is OFF, performances and the Beaus Festival Bar which is THE place to end your night during the festival.